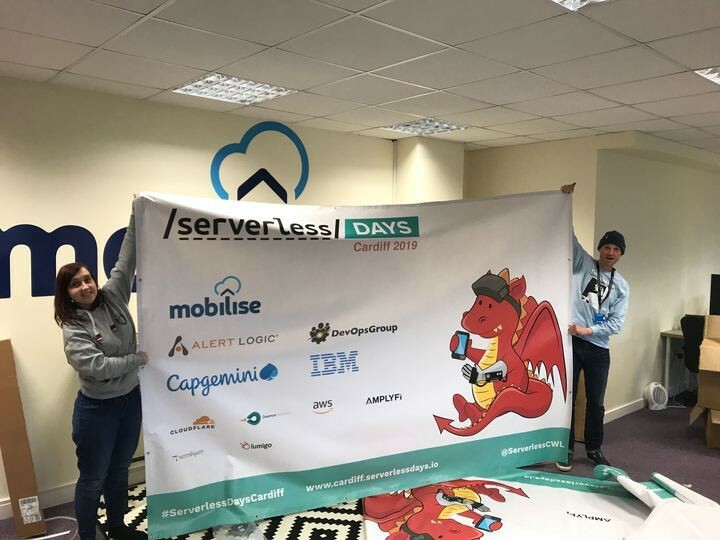 On the 30th January 2019 the very first ServerlessDays event in Wales took place. I thought I’d take a look back at what it was like on the inside organising the event, and give my view on what went well, and what we could have done better. Hopefully anyone out there looking to get involved in an event can learn from our experience. The origins of ServerlessDays Cardiff trace all the way back to April 2018. Ant Stanley published a post asking for help growing the serverless community, and if anyone was interested in organising an event or assisting an existing team. I’d been running a meet-up for almost 2 years, but had zero knowledge of organising a conference or what would be entailed. But, with a growing passion and interest in serverless technologies and blind optimism, I reached out to the main organising committee and the wheels were set in motion. The first vital step happened almost immediately, when Jim Carnie from Mobilise came on board. This meant there was someone far more organised than me involved, and we had found our main Event Sponsor. The event would never have happened without Jim, Chloe, Ed and the Mobilise team, and myself and Chris Williams as the other organisers will always be grateful. The most challenging aspect of getting the conference off the ground was going to be cash flow. We start off as a non-profit with zero funds, and need to incur costs early on to book a venue. Luckily, Mobilise were able to cover this cost directly. Early on we set up a limited liability company and opened a business bank account. Luckily, with the rise of FinTech and challenger banks in the UK, this was a relatively quick and painless process. This became increasingly important the closer we got to the event. Not only did it reduce our own personal liability, but it was essential in order to accept sponsorship from organisations, take out event insurance, and sponsor visas for overseas speakers. Nothing can happen without an agreed date and location. We wanted to showcase the growing tech scene in Cardiff, and looked to host the event at Tramshed Tech. This gave us capacity of around 125. We gave ourselves a few months to organise everything avoiding the summer holiday season, and so looked at dates in October and November. We even went so far as to provisionally reserve the venue. However, once we contacted a potential keynote speaker, we realised a problem. These months were already incredibly popular for conferences, with Simon Wardley’s MapCamp in London, followed by a ServerlessDays event in Europe, and Serverless Computing in London at the beginning of November. It was time for yet another plan. 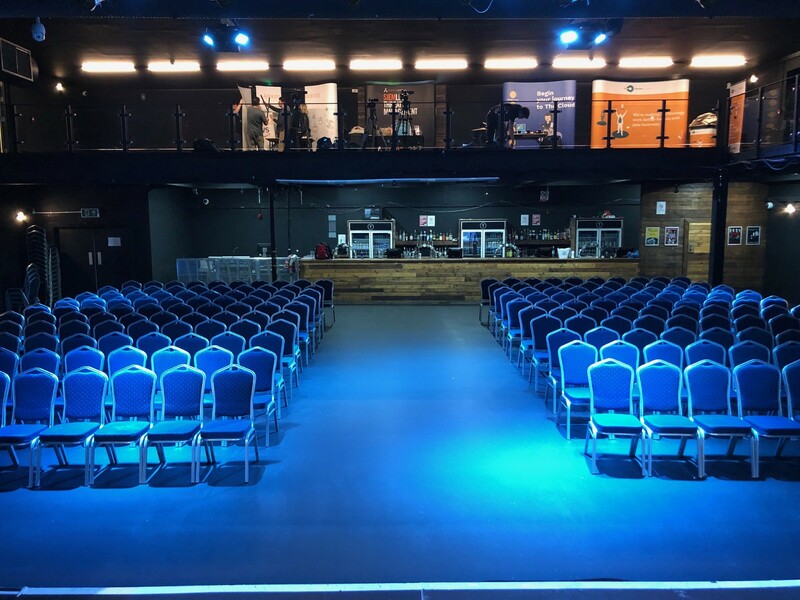 We decided not only to push the event back to January, but also to relocate to the main Tramshed concert venue and increase capacity, and the date was set for 30th January 2019. Looking back, the choice of venue is critical. It is a challenge finding a venue in budget with enough seating capacity, but that is also accessible, has good transport links, and has a layout suitable for the event. Tramshed ticked these boxes. There were a number of aspects I hadn’t thought about beforehand, but became increasingly important. One was the audio visual setup. As a music venue, we had audio technicians on site, and it was easy to provide an XLR feed to help record the talks. It also meant there were bar areas, and we were able to keep the venue open for a number of hours after the talks had finished. This was brilliant in encouraging people to socialise and network, and was when most of the informal conversations took place. At the same time, the venue wasn’t without its issues. It looked different when empty, then when full with sponsor booths, and we might have made alterations to the layout if we had predicted where it would be crowded and where background noise would travel. Feedback after the event also asked for a break out area for checking email and private conversations. I’m not sure whether this falls into the ‘nice to have’ rather than ‘essential’. We had the potential to offer this, but it never crossed our minds. Once we had a date and venue we opened up a Call for Papers on PaperCall. The area that surprised me the most was the number of submissions. For the first ever conference of this type, and being based in South Wales, I was worried we would struggle to attract speakers. It was the opposite problem, that also led to some of the toughest decisions. 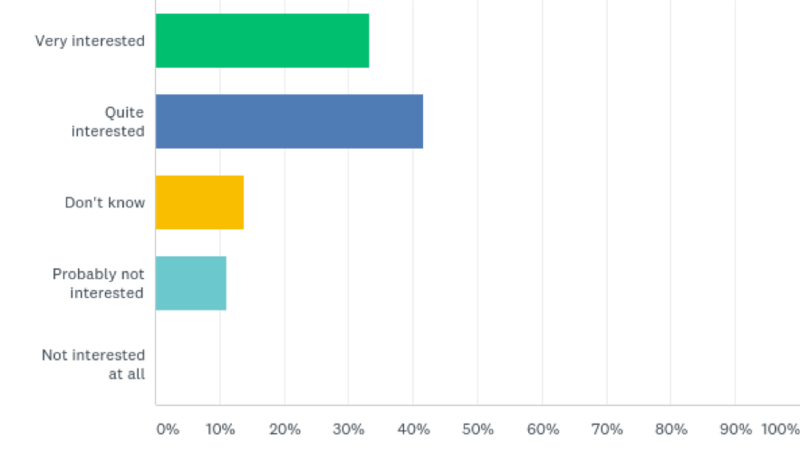 It felt there was something for everyone, and this was borne out in the post-event survey results, with over 80% finding the variety of talks was just right. The two long days of selecting the talks was hard. There were some amazing talks that just didn’t make the cut, but only because we wanted such a variety and at a mix of different levels and lengths. I struggle with rejection, and so spent many, many hours writing personal notes to almost everyone who submitted a talk we were not able to accept. I still pinch myself at the quality of the talks we had, and the fact people gave up their own time to come to South Wales to educate and help grow the community here. The fact we had speakers travelling from the United States and Serbia, as well as all over Great Britain and Northern Ireland, still amazes me. We can never thank them enough. Sponsorship was an ‘interesting’ experience to say the least. We were indebted to the organisations that invested in the conference, and allowed the event to take place. We were really lucky to get a number on board straight away, which certainly eased the worries we had. We published the Sponsorship Prospectus on the website, and then sent the Sponsorship Agreement Form to be completed and counter-signed to any interested party. Whereas some of the sponsors agreed to come on board and transferred money almost immediately, others had processes that meant being set up as suppliers on their systems, completing supplier sustainability assessments and more. I remember filling in one online assessment where the first question was whether we generated more than $50m in revenue, and the second was how many full time employees there are. Despite this being a non-profit event with all work being done in spare time outside the day job, the answer of 0 full time employees wasn’t valid. I also felt we were stuck in a vicious circle at times. The most common questions from potential sponsors was how many people would be attending, how many ticket sales have we made, and what is the promotion plan. These are all valid. Having never run the event before, we were just hoping we would attract the upgraded numbers of between 150–175. Ticket sales can also be notoriously slow early on. However, there are also deadlines for printing banners, which meant there was a cut off date. We were incredibly grateful to all our sponsors, and spent a lot of time thinking how we could make the event worthwhile for them. One thing that worked well was providing all sponsors with our commemorative pin badges, stickers and drinks tokens to give out. This guaranteed foot fall to their stands. The other thing that worked out really well was inviting a representative of all the sponsors to the Speaker Meal the evening before. This was a good networking opportunity for everyone, and allowed us to say thank you. There were some valuable comments provided as feedback after the event by the sponsors, which we definitely take on board. For example, we should have given better instructions where sponsors could leave items for courier collection and what times stands could be dropped off and collected. We also should have opened up lunch for the sponsors at least 15 minutes before the attendees to give them more chance to interact and network. These are all learning points. 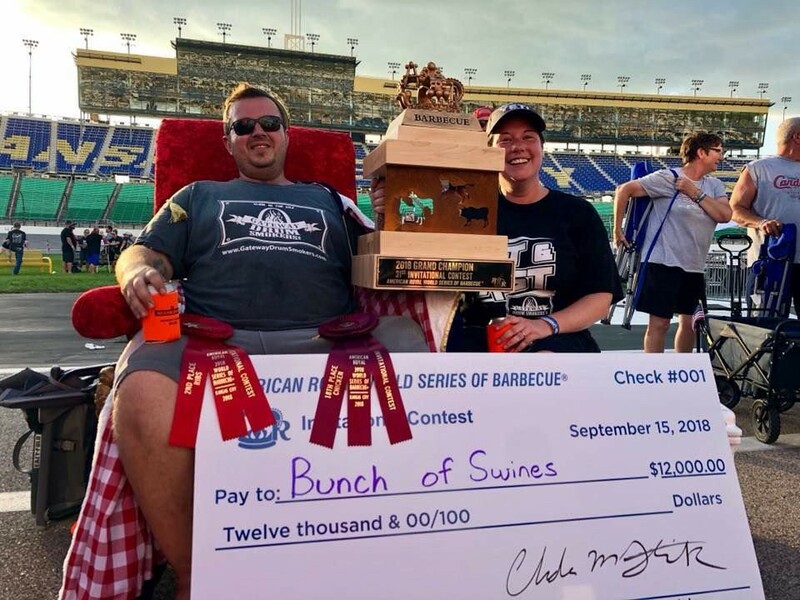 We were unbelievably lucky to have our catering handled by Mobilise’s own World BBQ Champion Ed and his partner Emma, who are known as Bunch of Swines. It was only as we approached the day I recognised the effort that had gone into it, especially in terms of thinking about and catering for dietary requirements. This involved not only home curing bacon, but specifically selecting ingredients such as corn tortillas that didn’t contain gluten or animal products. Even the choice of a self-service taco bar was made to allow people to quickly serve themselves and mingle. One area I would have changed to make Ed’s life easier, would be to capture dietary requirements on the ticketing site, as opposed to relying on social media and email at a later date. The other area we could have done better was thinking more upfront about layout. There were long queues in the first break with single location for the food and in a narrow corridor. We learnt from this and changed the approach by setting up multiple food stands for the later breaks, and having people walk around with trays. I thought the food was amazing, and almost everyone agreed. Around half the survey respondents felt the food was excellent throughout the day, and 95% felt it ranged between good and excellent. That definitely counts as a big thumbs up. The chart above shows unique visitors to the ticketing site. We were fortunate to get some initial group bookings which boosted numbers. It also led to an early false sense of security that we would easily meet our target of 150–175. However, ticket sales just trickled in by the odd one or two, and potential sponsors kept asking for numbers of tickets sold. 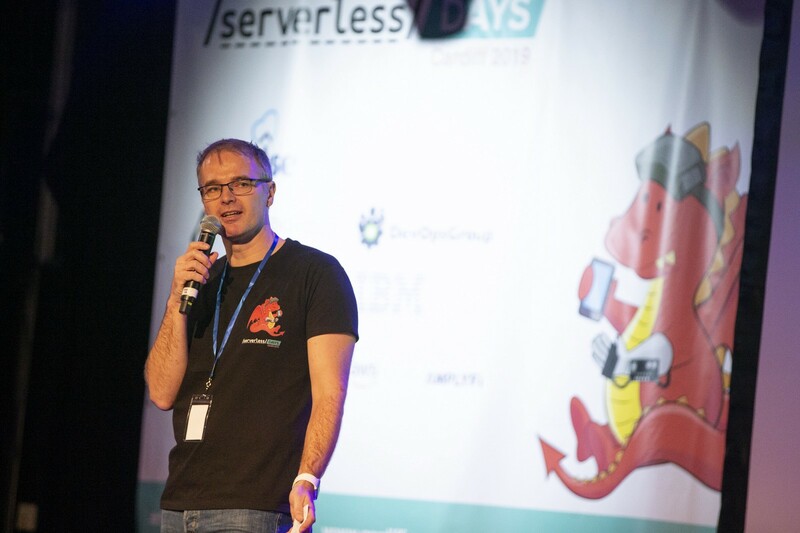 We made a conscious effort to spread the word of the event, and it was a bonus to be linked to such a popular brand as ServerlessDays. We wrote blogs, scheduled tweets, posted in Slack channels, promoted at meet-ups, and emailed everyone we knew. There was no silver bullet. A few weeks beforehand I started to worry. With a week or two to go, the big rush suddenly came. We had to increase capacity from 175 to 190, then 200. Luckily my exuberant approach of extending capacity was stopped by more sensible colleagues, when I was told we couldn’t cater for anymore. And so with 215 signed up, and close to 30 on the waitlist, we had sold out way beyond our expectations. One aspect that didn’t work as well was the diversity tickets. We were really keen to promote inclusivity and made 25% of tickets available for free to diversity groups. We used DiversityTickets to handle this for us, and they were great. The issue was I’d set the deadline for applications too close to the event itself. We only received the list of accepted individuals after the deadline had passed, and when we sent the invites out, a number of people were no longer able to make it. This was disappointing, and it’s a definite learning point to look at a way of sending out invites on an ongoing basis once applications have been reviewed. We aimed to create a local feel to the event. 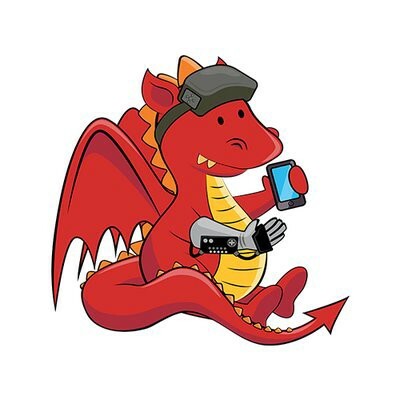 The Creative Services team at DVLA created a Welsh dragon mascot that we adopted. This appeared on all our banners and t-shirts and pin badges. At the same time, some of the feedback received questioned providing swag that often ends up in refuse, and whether this is a sustainable approach. It’s a good question. Potentially, we could use an ‘opt-out’ check box during ticket sales. This was an area we left till the end. We were worried about our costs and had these in a ‘nice to have’ category. With everything else starting to take shape, we realised we would love memories of the event. I started looking at sites like ‘Createxplore’ to find an enthusiastic hobbyist, which resulted in a number of offers. In the end, with sponsorship money having come in, we were able to find two local professional companies that did an amazing job. In terms of photography, the big mistake we made was not ordering different coloured lanyards or having stickers so attendees could opt-out of appearing in any social media promotion. As a result, we are limited in what we can publish, but you can see a selection of the images in this gallery. In terms of videography, I am delighted we had the talks filmed and edited. With all the stress and pressure on the day, none of us were able to sit back and take in any of the talks. This doesn’t matter, as anyone can now relax and binge watch the talks on our playlist which you can find on the ServerlessDays YouTube channel. One regret I did have at the end was not providing captioning. I personally feel this is important not just from an inclusivity angle, but it makes it easier for anyone listening to the talks. It is not something that can be arranged at the last minute, but will definitely be considered going forward. That gives us even more to think about.